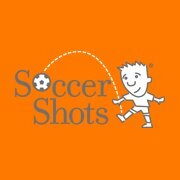 Soccer Shots (Ages 2-5) - Sportsplex, Inc. Introducing Soccer Shots at Sportsplex. Soccer Shots is a program offered to children between the ages of 2-8. Soccer Shots instructors are energetic and enthusiastic, are great teachers, and love working with children. They not only teach soccer skills, but also work on improving balance, coordination, and agility with the kids. Soccer Shots also uses the sessions to teach children important concepts such as teamwork, sharing and respect. Come join the fastest growing youth soccer program today! Soccer Shots was named the official two to five-year-old soccer program of US Youth Soccer in September 2017. For more information or to register please click on the link below.